For Day 20 of "Christmas In July" blog post theme, I found these items while putting away party plates for a going away party for my younger sister and my brother in law who serves in the military where they are going overseas!! 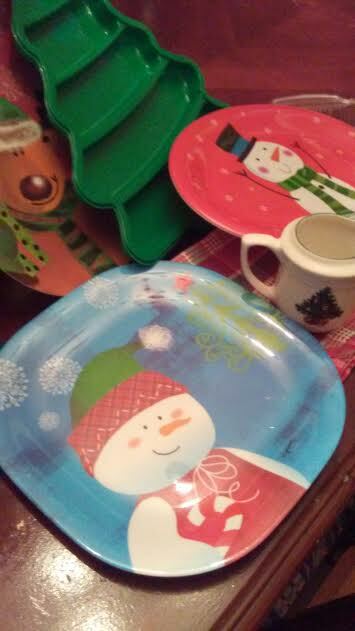 Most of our Christmas plates are non-breakables, fun themes, if they become MIA (missing in action) at another person's house or function then no worries, and the cutest little creamer cup that we found a local consignment! These plates hold a lot of memories of goodies baked and devoured, tasty snacks that got nibbled away while waiting for the main feast, and countless people that come home to celebrate together for Christmas! !